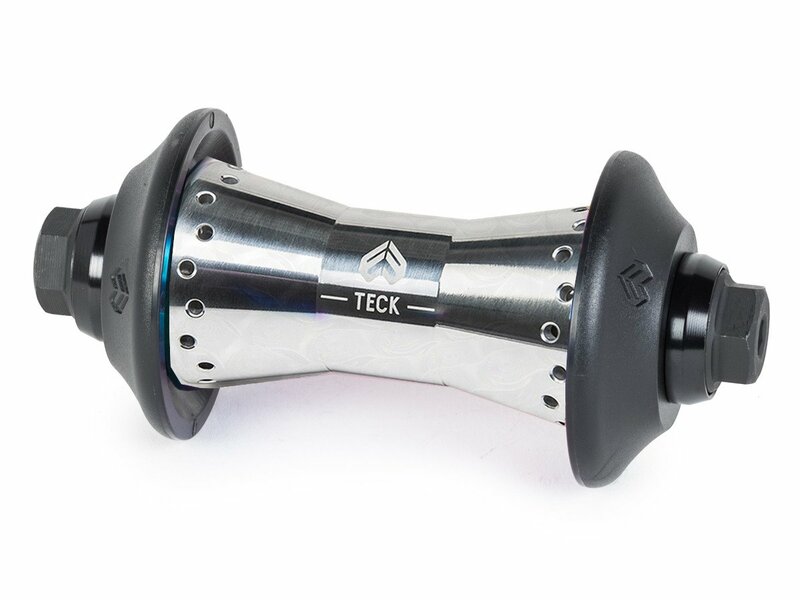 The peculiarity of this eclat "Teck V2" Front Hub is located in its CNC machined 6061-T6 aluminum hub body which offers less of a target for the spokes and flange sides while grinding. To lace this eclat "Teck V2" Front Hub you need normal spokes with a length of 192mm and the arrangement of the flange holes result in a stable 4-cross spoke pattern. 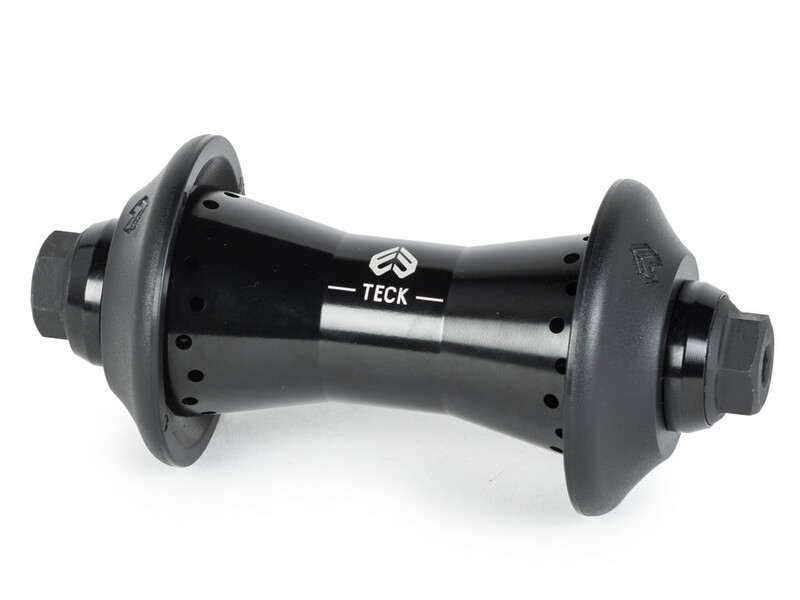 The female axle of the eclat "Teck V2" Front Hub is made of lightweight 7075 aluminum and a additionally used Helicoil thread insert prevents cross threading. Two high quality steel bearings ensure best rolling characteristics and the separately available eclat "Teck" Front Hubguard protects the spokes of this innovative crafted high end hub. This eclat "Teck V2" Front Hub includes longer (35mm) CrMo Bolts to accommodate plastic pegs and for a stronger female bolt setup.